Here’s one coloring book you might wish to hang onto for yourself instead of passing it along to your kids. 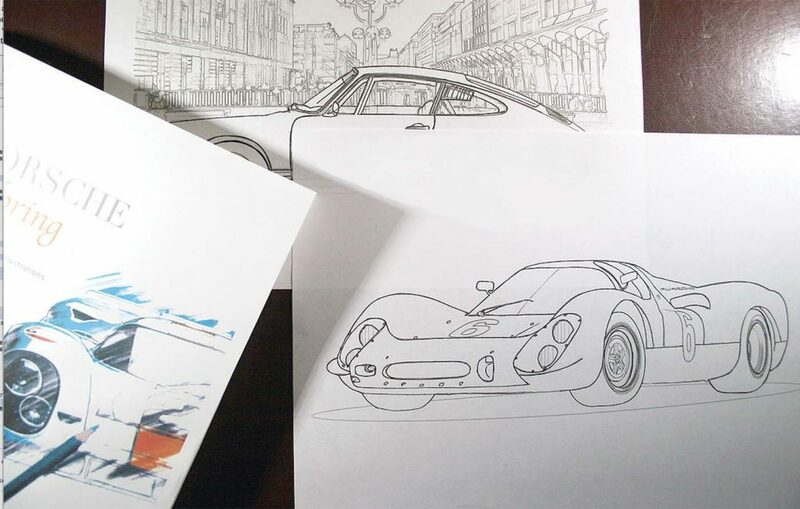 Newbury Press has created (curated, might be a better term) a collection of hand-drawn classic Porsche illustrations that are designed to be finished off in whatever fashion you wish. Use colored pencils, watercolors, markers, or even good old-fashioned crayons. Once completed, each one can be easily removed for display, or left bound in the book. Each of the two available 11.0- by- 8.5-inch soft-cover volumes is priced at $25, and the hardcover versions are $50. Order at www.newburypress.com.